So, the new job is going well. I’m going into my 5th week. I like the job. The people are very nice, and I think I’m doing well. They just finished a commercial, which I’ve seen on TV. To be apart of something like that, is very cool. Post surgery life is going fine. I’ve been walking 40 minutes a day now. I usually leave my house at 6:45am, and get home at about 7:15pm. On the train about 1.5h a day, which I usually sleep or look at my phone. The first few weeks, I went out for lunch. Usually picked up a chicken skewer of something. Ths nice thing about Toronto, is they have everything. The variety store down the street has every protein bar and protein drink you could ever want. I picked up a cookies and cream muscle milk a few weeks ago. It made me sick, and it was $6.00! Never buying that again! I feel bad I haven’t updated it often. The fact is, I have so many thoughts in my head about blog posts, but they never come to fruition. Please forgive me, and thank you for coming back to see how I’m doing. There is still room for improvement every day. I need to keep my protein up, take my vitamins daily, and start some more exercise. I watch my food intake daily as well. 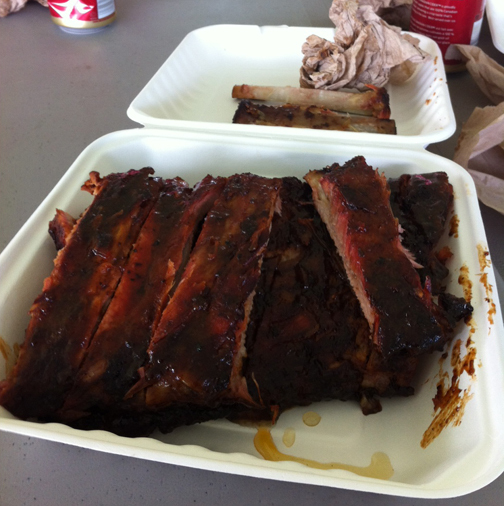 On the weekend, I went to ribfest for the first time ever. I got a full rack of ribs, ate a few and took the rest to Marc. They were SO good. I managed to eat 2. Well 3. I took a small break and had a third one. Big mistake. I felt so sick. I almost threw up an hour later, but didn’t. It was brutal. Should of just had 2! Most recent progress pictures taken at 95 lbs lost. 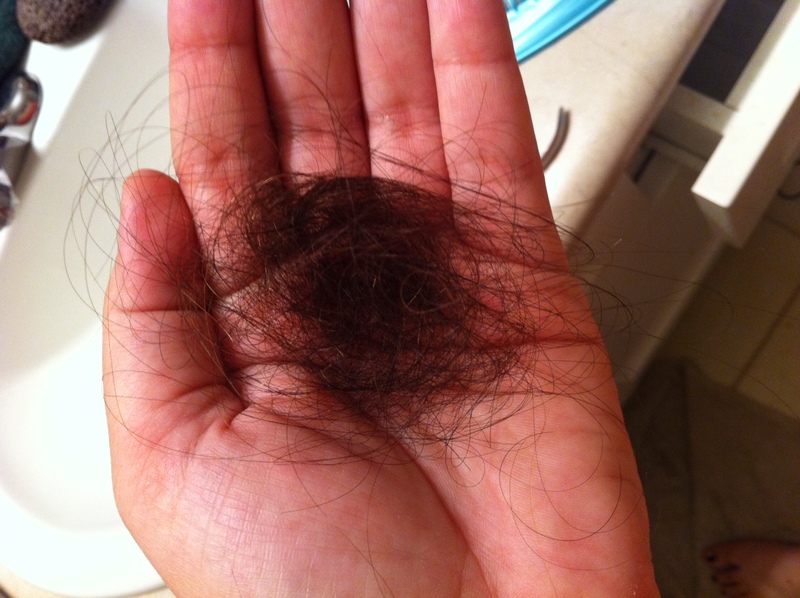 I also mentioned about the hairloss after WLS. Took this picture after brushing my hair with a comb after the shower. Woah! Now that’s a lot of hair. This Wednesday will be 21 weeks since surgery. And including my opti, I’m almost 6 months out. My only goal was to reach 100 pounds at 6 months out. After that, I don’t really have a goal. Just to keep going and to hit onderland…again. Thanks for sticking with me, even though I’ve been a terrible updater! 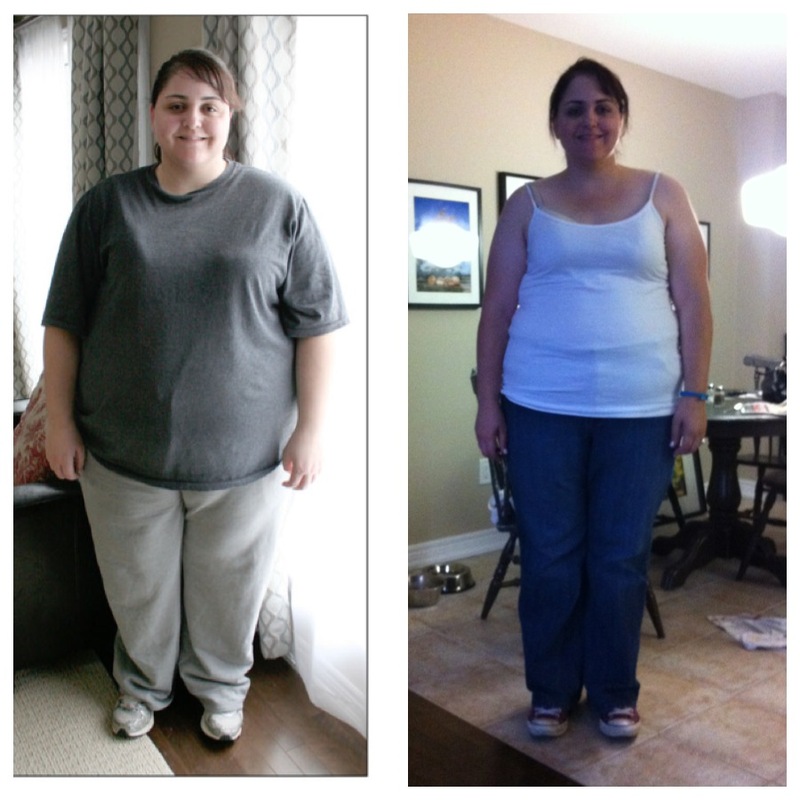 Jackie – you look fantastic! Thanks for updating. I check back often to see how you are doing. =) I am so happy for you. 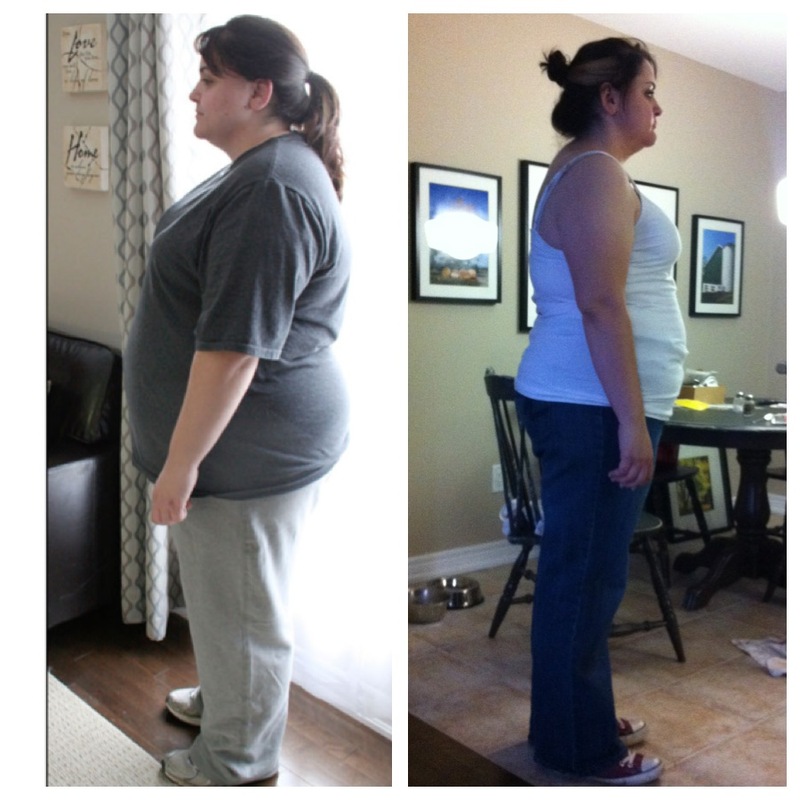 You have worked for so many years on your weight. I really hope this is the long term solution you’ve been looking for! So proud of you! You look amazing. I can’t wait to be where you are. Thanks Kristi! You will be there soon! What are your plans? Surgery?